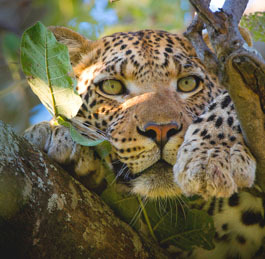 The soul of Botswana’s “Wild Africa”, this is a new rugged adventure outfitted by National Geographic filmmakers and Great Plains Conservation co-founders Beverly & Dereck Joubert, famous for their Eye of the leopard documentary following Mombo Camp’s famous Legadema. 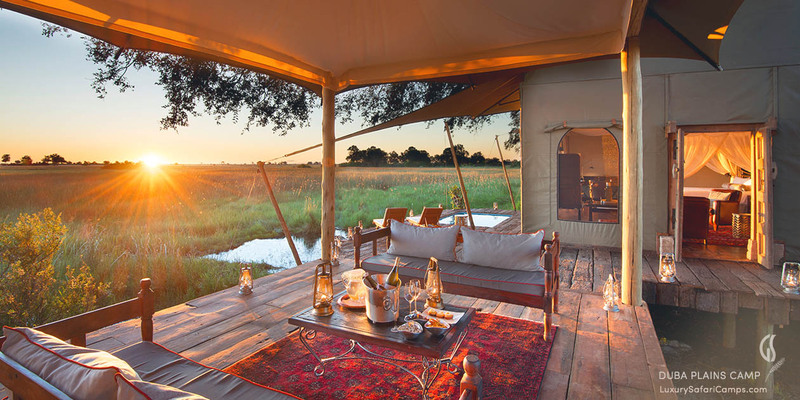 Pristine 77,000 acres of the Duba Plains Concession for the private use of just 6 rooms at camp, this newfound expedition camp takes over as a high-end, exclusive safari from the previous Duba Plains camp site. 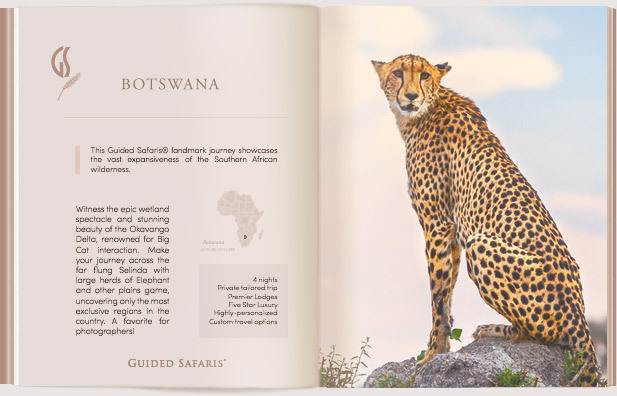 This area is seasonally one of Botswana’s most prolific wildlife destinations with several unique mammal sightings, in addition to the famous Big Five. 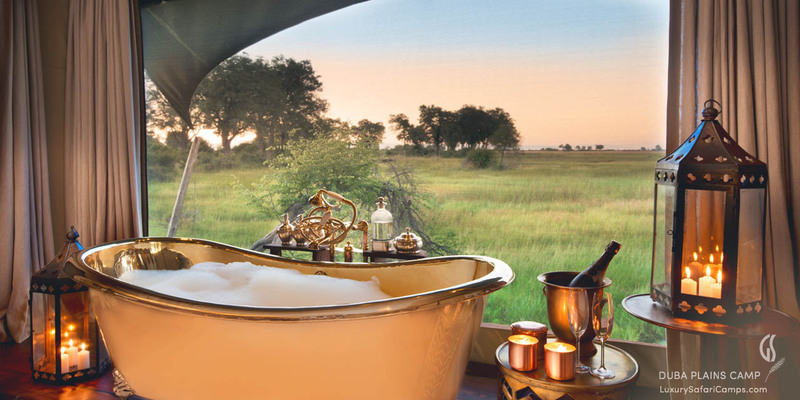 Duba Plains evokes the classic African safari style of the 1920s as a wildlife connoisseur’s getaway, with thousands of animals marching in an almost endless pattern across the flood plains. 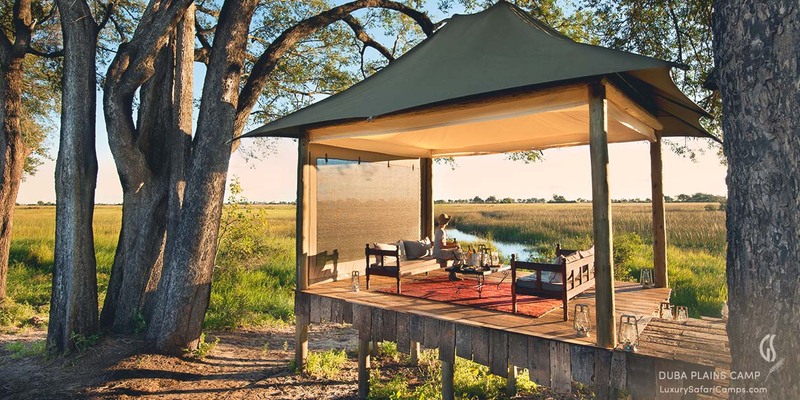 Duba Plains concession is one of the most established wildlife regions in Botswana with many of the original nature documentaries filmed on location here. 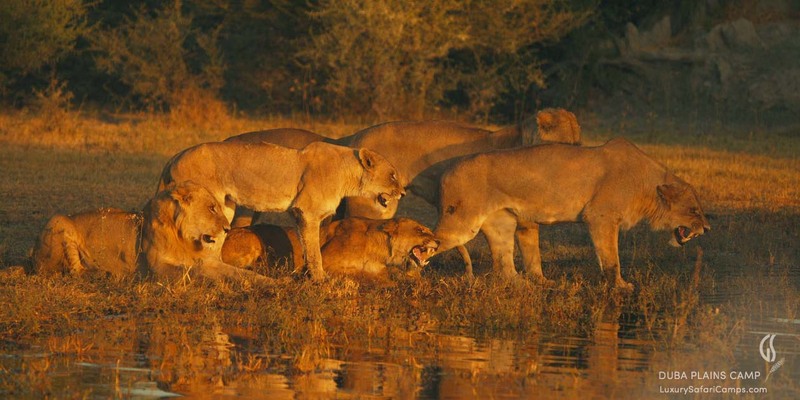 The large prides of lion at Duba Plains are famed for their interactions on cape buffalo hunts as immortalized in the National Geographic documentary ‘Eternal Enemies’ filmed by camp owners, Dereck and Beverly Joubert. 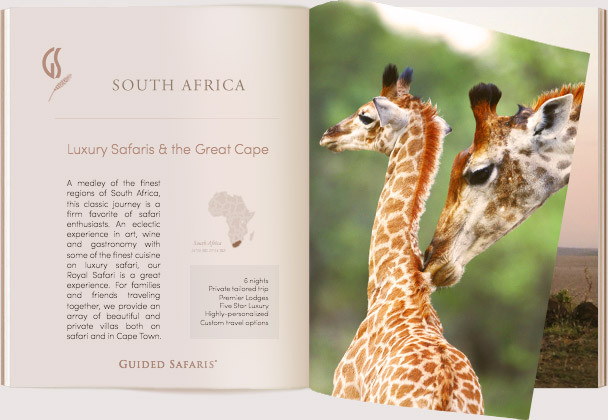 Plains game is popular here and game drives do provide regular sightings of buffalo, antelope species and elephant. 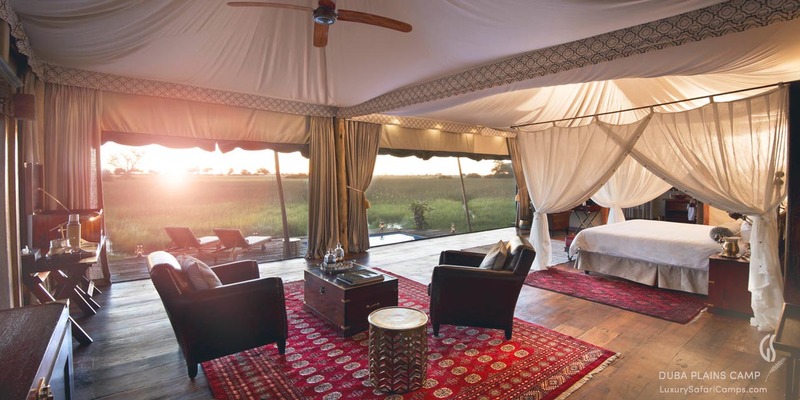 An intimate camp with 5 tents and 1 family suite. 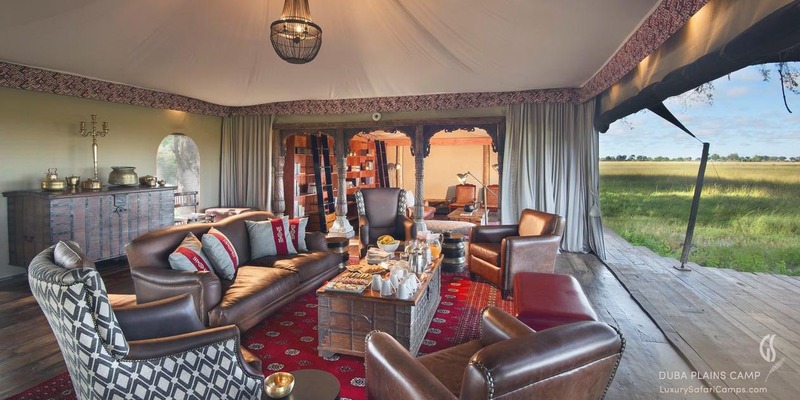 Room facilities include: Private viewing deck, en suite bath facilities, Overhead fan, Private lounge, Indoor and Outdoor Shower, Tea / Coffee facilities. Category B airfield is licensed for aircraft as large as a King Air, Pilatus PC-12 and Cessna Caravan. 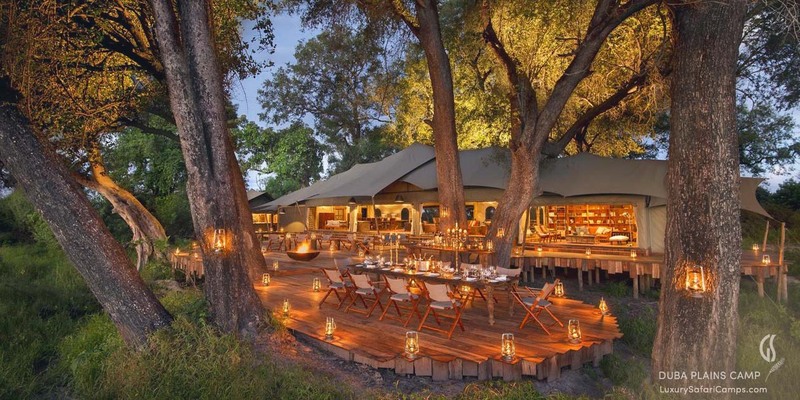 Duba Plains Airstrip Coordinates: S19″01.901\'; E22″42.712\’ (landing with prior permission only). 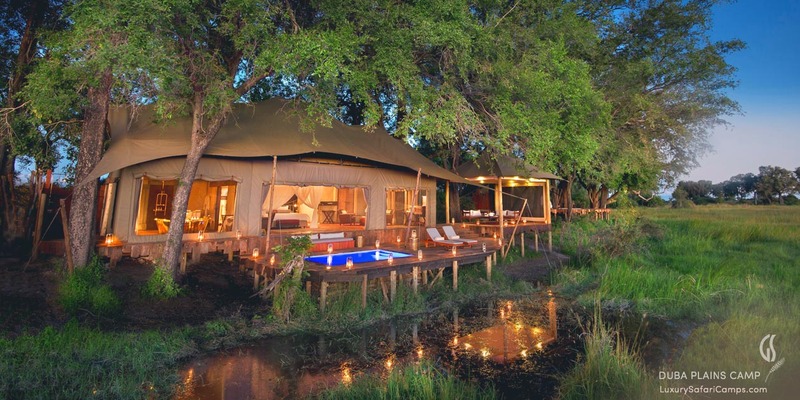 Child policy at Duba Plains Camp: Children aged 6 years and older only. 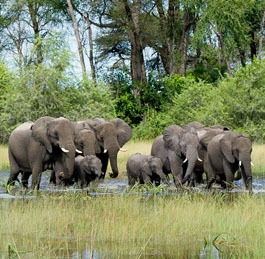 Child participation in any game activities is dependent on their aptitude for wildlife interaction as determined by the guide. 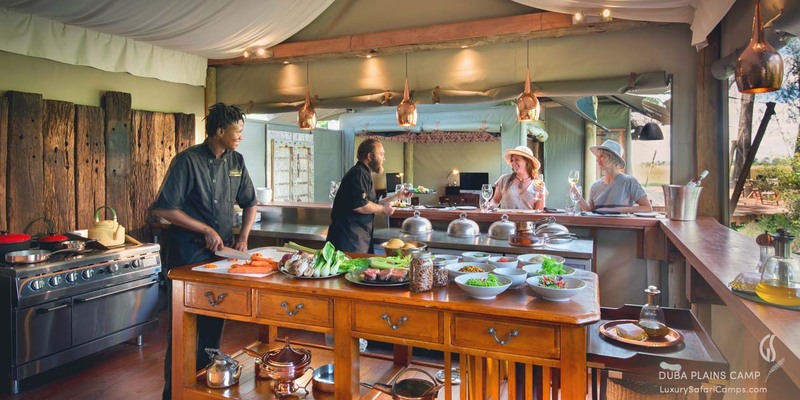 A private 2-bedroom tented suite, the Duba Plains Suite, offering a beautiful layout with forest views is available to families or friends traveling together. 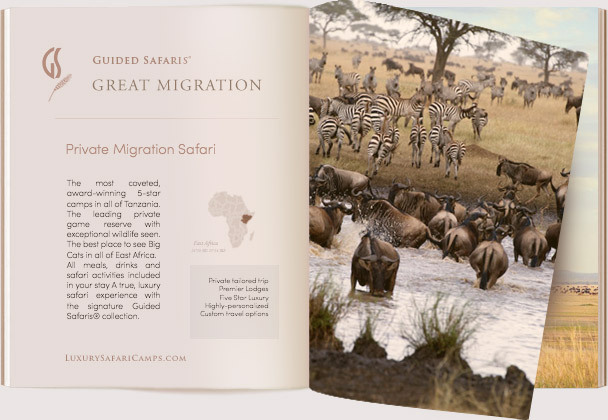 Join your guide at Duba Plains to embark on an adventure learning bush skills and animal tracking. A fun and engaging program designed for little ones, the Young Explorers program provides an extensive pack to our eager guests on arrival. 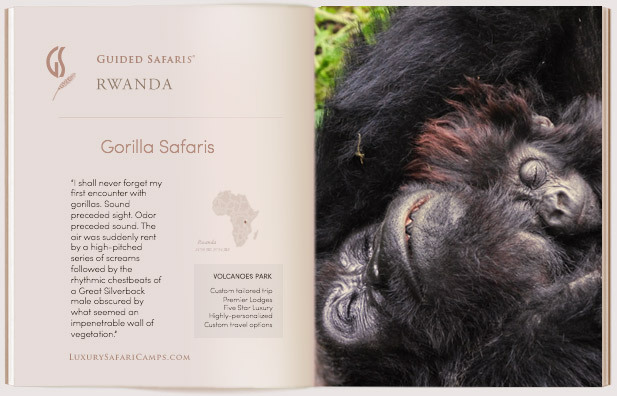 In the comfort of their camp, the children will learn about animal calls, how to track wildlife, and other facts about the wilderness home they find themselves within. 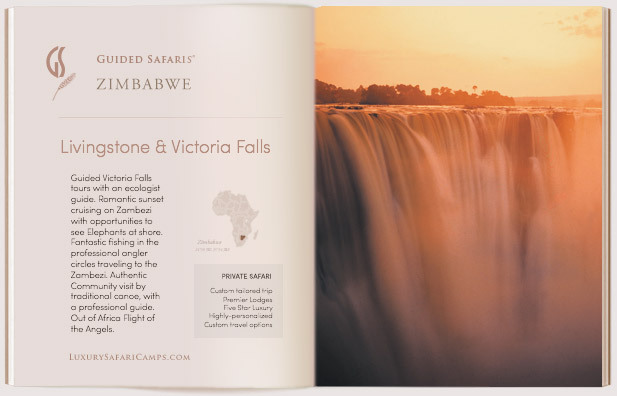 Later, accompanied by their guide, the children are led onto walks and mini-drives to engage their interest on everything they have learned. At the end of the journey, the graduates will become a Young Explorer and Conservation Ambassador with a critical role to tell their friends back home on all they have learned and how to help protect this beautiful environment. 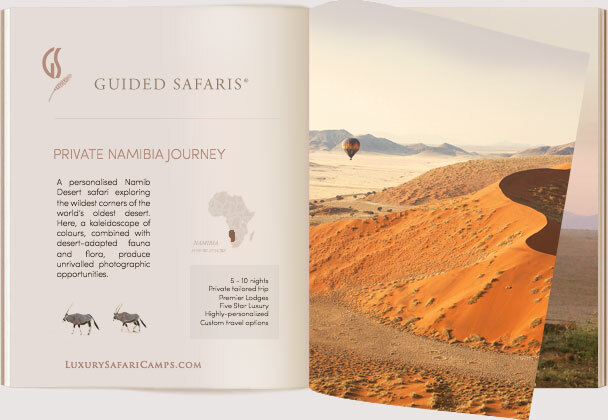 Price Excludes: Flights to Duba Expedition Airfield, Single supplement.